After high school, I had no idea what I wanted to do for the rest of my life. I was afraid of the future and the unknown. I felt like I didn’t want to commit to a full college education, yet I was too young to look for a full-time job. As I was trying to decide, I knew time was ticking by; I had to make a decision. One day, I applied to SUNY GCC Arcade because I thought that you couldn’t go wrong with getting a college education. I then chose to major in Tourism & Hospitality Management because I have always enjoyed working in the hospitality industry. It turns out that that was the best decision I’ve ever made. In my first semester, I took five classes. My two favorite classes were Hotel Operations with Professor Plouffe (professor at Batavia Campus) and Introduction to Tourism and Hospitality with Professor Kohl. Professor Kohl is the Director of Accommodations at Darien Lake. He was the one to teach us the basics and the history of tourism through different projects and homework assignments. One night for homework, we were told to write down our favorite recipe. We all kind of wondered where exactly he was going with that assignment. The next class, we took a little field trip to Tops to find out how much it would cost to make our favorite recipe for a restaurant. It was such a fun way to learn something that is so important in our industry! He also took us to Darien Lake to see the campground, the hotel, and the park. As a student, it’s amazing to be able to see hotels inside and out. 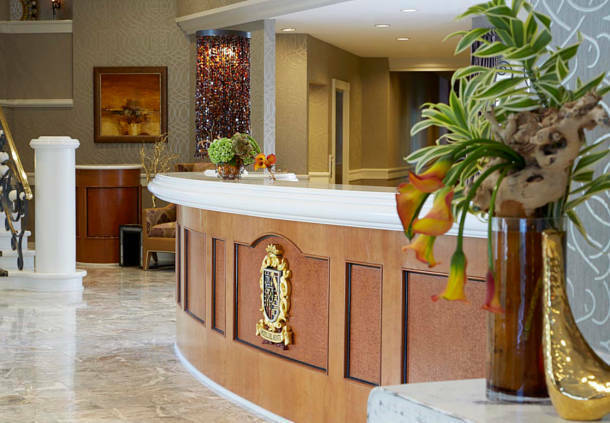 The Del Monte Renaissance Hotel front desk. The best part of Hotel Operations with Professor Plouffe was that we had the opportunity to visit The Del Monte Renaissance Hotel for one of our classes. While we were taking notes there, we ate exquisite food. Afterwards, he took us through the entire hotel: rooms, lobby, restaurant, kitchen, meeting room, laundry room, salon, spa, everything! Professor Plouffe made sure that, by the end of the class, we all had a better understanding of what it takes to operate a hotel. Every professor I’ve had goes above and beyond to help everyone learn what they need to know to be successful in their future. Lastly, in those two classes, I met two of my best friends. The three of us have been taking classes together ever since. So, little did I know that I was enrolling in the best time of my life. I’ve made two amazing friends, been taught by impeccable adjunct professors that take time out of their busy schedules to share their passion, and I have learned so much all because I applied to SUNY GCC! 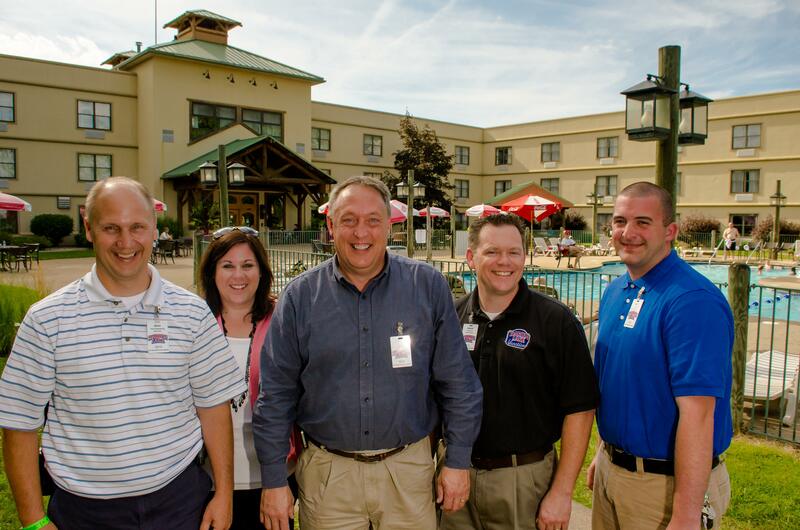 This blog was contributed by Tourism & Hospitality Management Student Monica Rubeck.